Granada is 17th on the table with 30 points in the thirty-two games played, one point below Rayo Vallecano and one point above Sporting de Gijon. With only six games remaining in the league all the teams need to perform their best and get as many points as they can and finish well at the end of the season. 17th April 2016 at 21:45 (IST). Atl Madrid recently knocked out the mighty Barcelona, who are the defending champions of the Champions League out of the tournament as they beat them by 2-0 in the second leg of the quarterfinals and qualified for the semi-finals. Atletico has been very strong this season as they have won 23 games, drew four and lost five in the 32 games played in the league, scoring 54 and conceding just 16, lowest in the league. 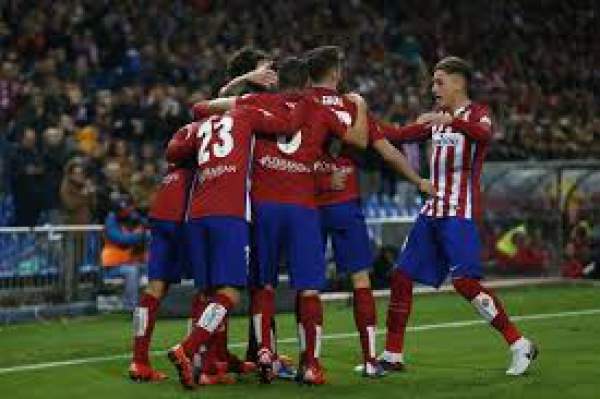 Their defense includes Diego Godin, Felipe Luis, these players are solid at the back and have proved that Atletico Madrid is very solid at the back. They have won four and lost one in their last five games, they won against Espanyol by 1-3 away, against Real Betis by 5-1 at home, against Deportivo by 3-0 at home and Valencia by 1-3 away and lost one against Sporting de Gijon by 2-1 away. They played against Espanyol in their last match of the league and won the game by 1-3 as Torres scored in the 35th minute, Griezmann scored in the 58th minute, and Koke scored in the 89th minute despite Espanyol going in front in the 29th minute. Granada CF is just one point safe off the relegation zone, and they need work very hard if they want to survive to see another season in the La Liga. They have drawn four and lost one in their last five games in the league. Oblak, Juanfran, Godin, Hernandez, Luis, Gabi, Fernandez, Koke, Griezmann, Torres, Carrasco. Fernandez, Lopes, Babin, Costa, Biraghi, Perez, Doucoure, Cuenca, Rochina, Success, El-Arabi. You can watch it live on Sony Six network.